Gail Watson: " I have been printing since 1986 when I met Elaine Peck, a letterpress printer who loved to share her knowledge and expertise. … I acquired my first press, a Pearl treadle press built in 1887, from Bill Jackson, proprietor of the 4 Ducks Press and professor at Wichita State University." Black Hawk, Colorado: Birdwood Press, 2014. Edition of 30. 10.5 x 13.25"; 16 pages. Letterpress printed. Signed and numbered by the artist on the colophon. Birdwood Press: "The typeface is Helvetica Neue, a 1983 reworking of the 1957 Helvetica blockbuster font designed by Max Miedinger. 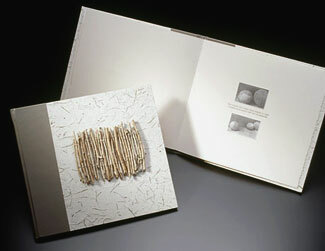 The photos of nests and drawings are letterpress printed from polymer plates on Arches Text Wove, mouldmade in France. The book was printed on the 10 x 15" Chandler & Price platen press built in Cleveland, Ohio, in 1889 with the exception of the endpaper which was blind-debossed on an etching press. "The french fold text pages are bound on the open edge in the Japanese stab binding style with Mokuba cord. 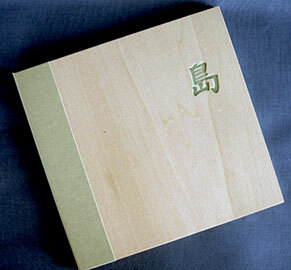 The cover is binder's board covered in maple wood veneer and creped kraft paper with a spine covered with Japanese Asahi cloth." Gail Watson: "Words from Pema Chödrön that resonated so deeply I felt compelled to spend time with them." Pema Chödrön, born in New York City, is a noted figure in Tibetan Buddhism. 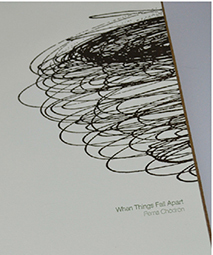 When Things Fall Apart contains excerpts from her talks, given between 1987 and 1994. Denver, Colorado: Zuni Press, 2003. Edition of 20. 13.5 x 18.5"; 18 pages. Spiral bound. Text and photos by Gail Watson. Gail Watson grew up in New York, worked for a time in New York City, but in 2001 was living in Colorado. On September 11, 2001, she was scheduled to catch a United Airlines flight to Newark for a visit to her family. She was leaving for the airport when a friend called and told her to turn on the television. Her family fortunately was unharmed, but her trip to New York was delayed for 6 months. Her words describing the joy of that reunion are rendered more poignant by her photographs of a changed city. Gail Watson: "These are photos I took during that visit when the memorials were still growing around St. Paul's Chapel and the twin beams of light filled the sky at night." Denver, Colorado: Zuni Press, 1998. Edition of 10. 5.75 x 8"; 13 leaves. 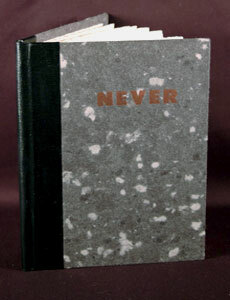 Paper-covered boards with black leather spine. Colophon: "Hand-set in Caslon and a chunky san serif from Nelson the Printer. The paper is Arches Cover. Printed by hand and foot on the 1887 Pearl." A wrenching tale of physical abuse. "On the floor kicking, screaming, and trying to breathe. His hands like a chador over my face. Top lip split, bruised and swollen jaw, and the soft inside of my mouth cut where it was forced against teeth...."
Denver, Colorado: Zuni Press, 1990. Edition of 30. 6 x 6"; 20 loose leaves bound with ribbon tie that are laid in a quarter-cloth codex case of paper, handmade by Tom Leech, over boards. A tile (2.75" square) with title blind embossed has been attached to the front board of the case. Text letterpress printed on Fabriano Artistico. Colophon on back pastedown. 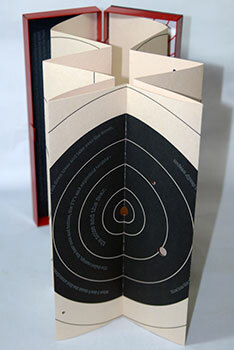 Book design by Gail Watson. A short story by Ursula K. Le Guin, writing in a realistic mode, originally published in American Short Fiction as part of the PEN Syndicated Fiction Project and then in Le Guin's collection Searoad (1991). It's the haunting and ultimately unresolved story of a woman beset by messages she can't seem to avoid. Messages everywhere — "lines of foam left by waves on the sand" or in "the lace collar she had picked up at a secondhand clothing store." She can see the language, translate the sounds, but she can't understand what she's being told: "she did not know what she was to do, or how she was to do it." Denver, Colorado: Zuni Press, 1987. Edition of 60. 9 x 12"; 16 leaves. Foundry type set by hand and printed on a 9 x 13 Gordon treadle press. Casebound with book cloth over boards and a leather spine. Designed and printed by Gail Watson. The first book published by Gail Watson, this collection of life wisdom from her mother, Alice Watson, was published after Alice Watson's death from breast cancer. Gail Watson: "I have been printing since 1986 when I met Elaine Peck, a letterpress printer who loved to share her knowledge and expertise. We applied for and received a Folk Arts Master/Apprentice grant from the Colorado Council on the Arts & Humanities in 1987 and completed Circles of Gold, an edition of 60." "The personal strength to deal with life's difficulties is sometimes bottled up and stifled by the fear of the cost of being honest." Golden Gate Canyon, Colorado: Birdwood Press, 2006. Edition of 4. 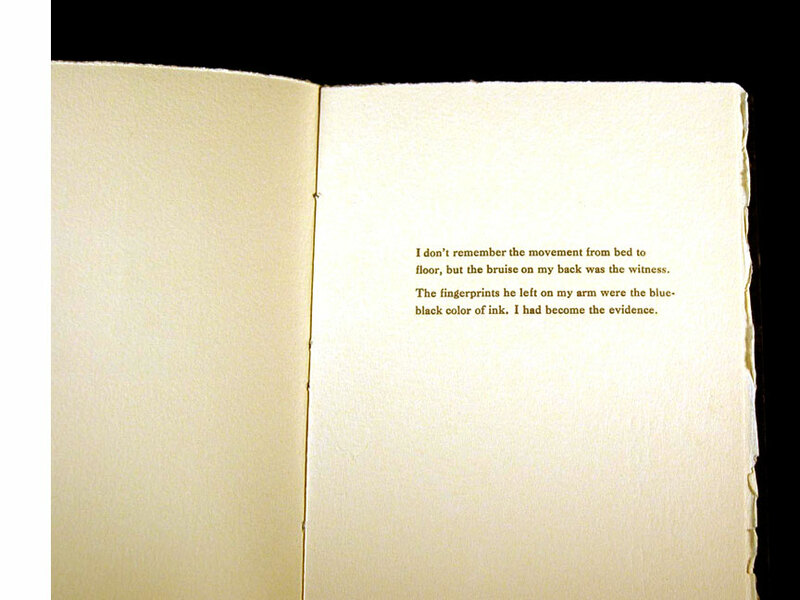 5.6 x 5.6"; 33 pages (31 loose pages; colophon bottom pastedown; introduction lid pastedown). Black ribbon lift for loose pages. Black-and-white photographs by noted photographer Lida Moser scanned from a contact sheet and laser printed on Arches Text Wove. Letterpress printed text in ITC American Typrewriter. 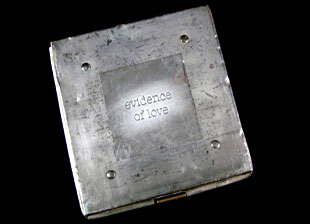 Housed 6.4 x 6.4 x 2.2" metal lidded case with clasp (a recycled movie trailer shipper from Columbia Pictures circa 1960). There is a point in the life of every family — if it's one of the lucky ones — at which things seem perfect, inevitable, and bound to continue forever. Because realization lags behind living, it's often viewed only as paradise lost. This is a record of such a point in the life of one family. Gail Watson: "A distressed and torn contact sheet of photos from one Sunday in the early seventies, 1972 perhaps. While the mother prepares dinner, the daughters set the table and finish homework, and the father comes home from work. 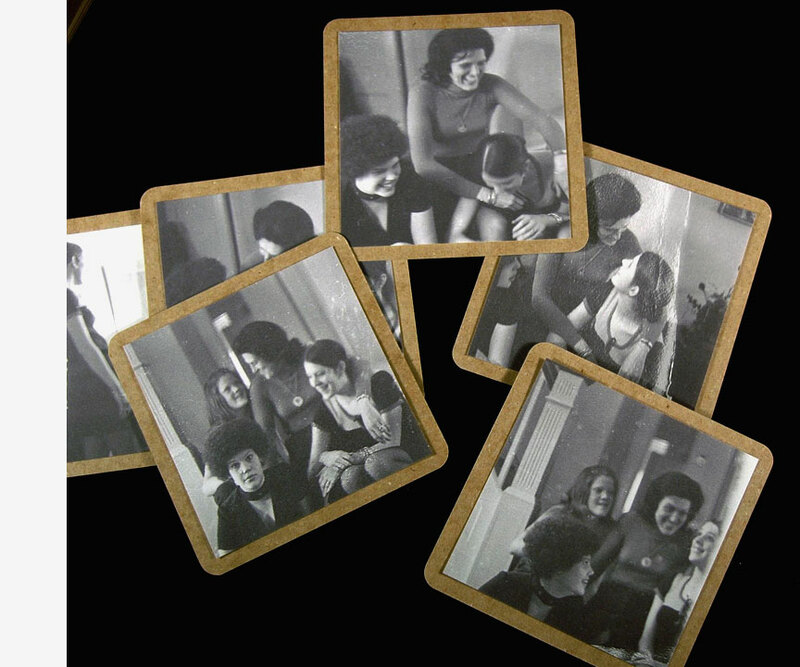 Small B&W photos of a family smiling and laughing. Before the divorce and the battles against breast cancer and Parkinson's disease were lost. Can you see the beginning of collapse, the genesis of disease, the uncertainty of the times or the pain of adolescence? Focus instead on the promise and belonging — proof of a once happy family and the evidence of love." Denver, Colorado: Zuni Press, 1994. Edition of 15. 11.5 x 10.25"; 10 leaves. Colophon tipped on back cover pastedown. 15 tipped in reproduced black & white photos. Letterpress printed on a 7 x 10 Pearl Platen Press cast in 1887 by Golding & Company, Boston. Type font: Trajan. Printed on Stonehenge, 100% cotton. Paper covered boards with leather spine. Cover paper handmade by Ray Tomasso. Wire bound twigs decorate the front cover. Text and photos by Gail Watson. Photographs by Gail Watson related to her stay in Taos, New Mexico. Black Hawk, Colorado: Birdwood Press, 2010. Edition of 10. 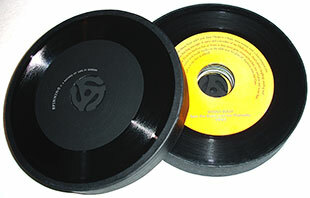 7" circular book with eight simulated 45 rpm records. Record labels letterpress printed on an 1887 Pearl press. Housed in a circular black box with removable lid. Numbered. 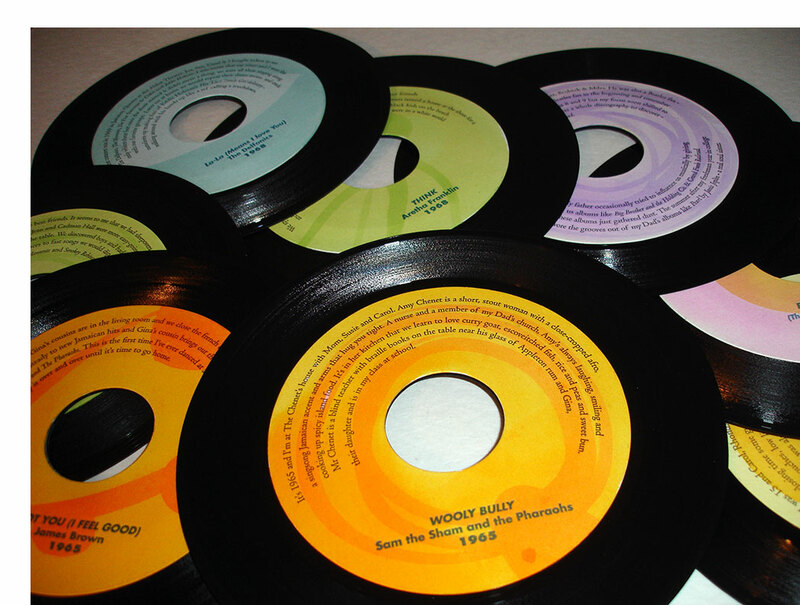 Spinning is a group of simulated 45 rpm records that match the music of the 60s and 70s with personal memories of growing up at that time in Queens. The records are a record of the time and one woman's coming of age years. This is a time, it should be said, when song lyrics really said something – Wooly Bully, Wooly Bully, Wooly Bully …. Spinning indeed. Black Hawk, Colorado: Birdwood Press, 2017. Edition of 16. 10 x 3.5"; 14 pages. 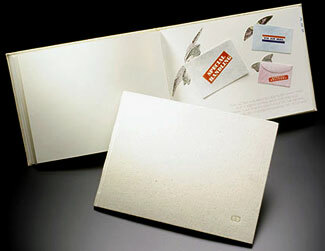 Flutter book. Letterpress printed on an 1889 Chandler & Price platen press. Printed on paper targets from American Target Company. 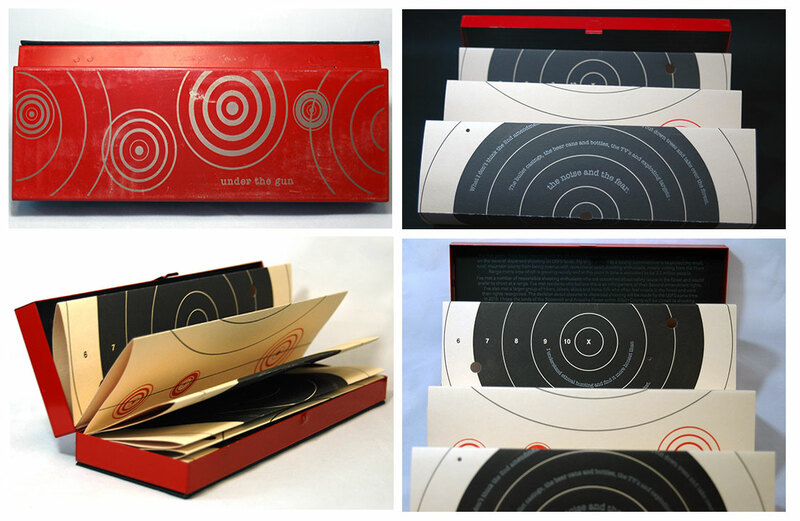 Bound in metal boxes with laser-printed digital art on the cover. American Typewriter and Avenir typefaces. Numbered. Gail Watson, Prospectus: " This book is the result of my work as a county commissioner dealing with the issue of recreational sport shooting on US Forest Service lands, specifically the Arapaho and Roosevelt National Forests in Colorado. I felt compelled to make a statement after five years of meetings and years of weekend shooting that makes the dogs run inside shaking and on one occasion had me screaming, to an unseen shooter close to my property, 'Don’t shoot, I’m here!'" Gail Watson, introduction: "For five years I have been meeting with the US Forest Service, Colorado Parks & Wildlife, and surrounding counties on the issue of dispersed shooting on USFS lands. My engagement as a county commissioner is to protect my small, rural, mountain county from being overrun with recreational sport shooting enthusiasts, mostly visiting from the Front Range metro area which is growing rapidly and at this point in time is estimated to be 3.2 million people. "I've met a number of responsible shooting enthusiasts who are concerned about safety issues in the forest and would prefer to shoot at a range. I've met residents who believe this is an infringement of their Second Amendment rights. I've also met a larger group of hikers, bikers, skiers, and horse folk who often feel unsafe in the forest and want their rights recognized. "The decision about closures to dispersed shooting will be made by the USFS sometime in 2018. I hope the lands of the Roosevelt and Arapaho Forest within Gilpin County will be closed to shooting. I don't believe that recreating with a deadly weapon is compatible with other low-impact recreational uses. It's not just the noise, lead pollution, and destruction, but the fear it causes wildlife, domestic animals, and people. "This book is dedicated to Glenn Martin who was killed by a stray bullet on July 3, 2015." Black Hawk, Colorado: Birdwood Press, 2015. Edition of 10. 7.5 x 7.5"; 11 leaves. Letterpress printed on Arches in Gill Sans. Chinese stab binding. 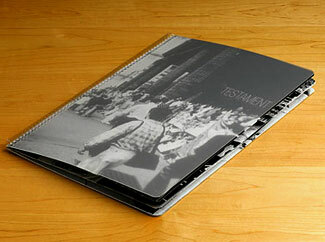 Casebound with cloth-covered back board and spine and a bass wood front cover. 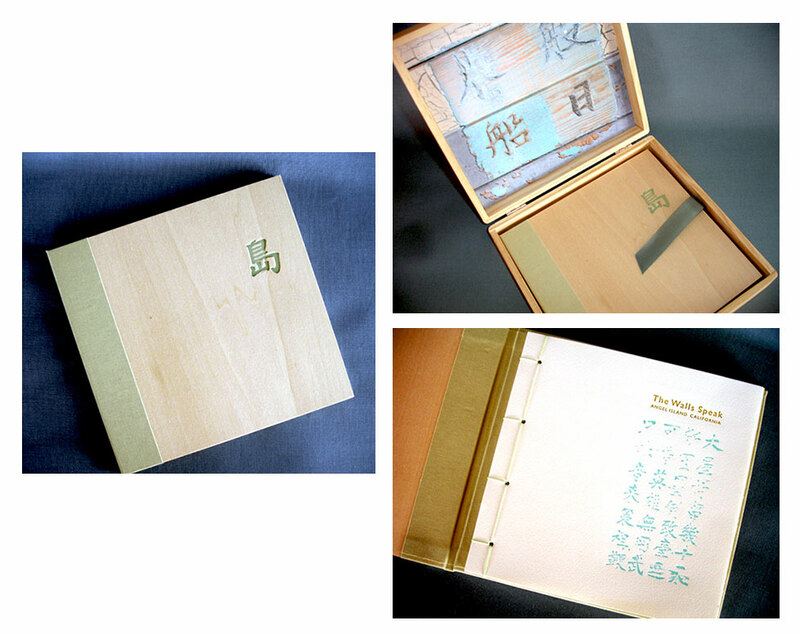 Laid in a hinged wooden display box with metal clasp closure and ribbon book lift. Designed, printed, and bound by Gail Watson. Numbered. Signed by the poet and designer. Prospectus: "This book is a suite of poems by Boulder poet Teow Lim Goh. From 1910 to 1940, about 300,000 Chinese arrived at the Angel Island Immigration Station in the San Francisco Bay. Because of the 1882 Chinese Exclusion Act, many were detained for weeks, months, and sometimes years before they could land. As they waited, some of them wrote poems on the barrack walls. "There are no known records of poems by the female detainees: the women's barracks were destroyed in a 1940 fire. Poet Teow Lim Goh imagines what they might have written on their walls." See Teow Lim Goh's essay "The Last Poems I Loved: The Angel Island Poems" for background information on the poems http://therumpus.net/2013/01/the-last-poems-i-loved-the-angel-island-poems. Golden, Colorado: Birdwood Press, 2008. Edition of 20. 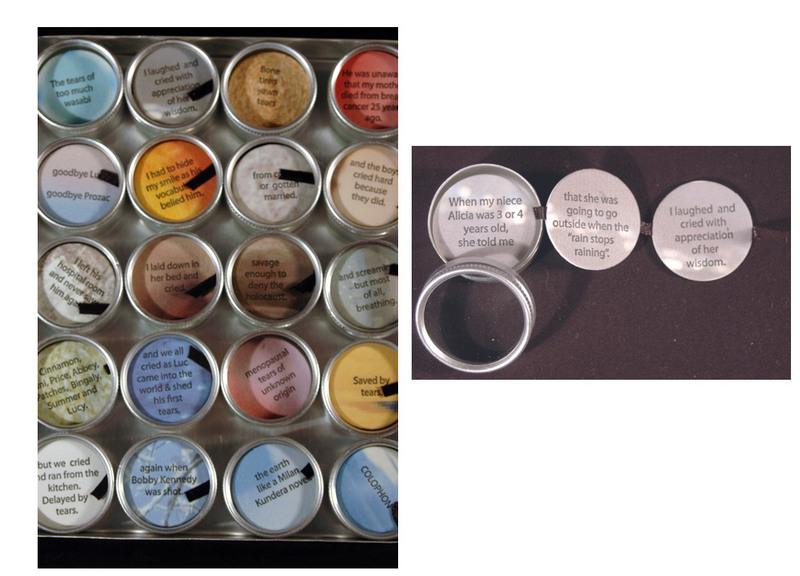 5..5 x 6.5 x 1.5"; 20 pages, which are actually aluminum specimen containers each of which contains a vignette. Letterpress printed from polymer plates on an 1887 Pearl platen press. Set in Myriad by Robert Slimbach and Carol Twombly Archival inks and pigment. Text printed over inkjet-printed photographs using archival inks on Crane’s Lettra, 110# cover, which has been die cut into 1.25” circles. 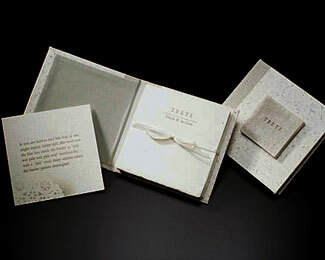 Seventeen of the containers contain short accordion books, which pull out with the help of a ribbon; three containers have text only on one circle, which does not come out. 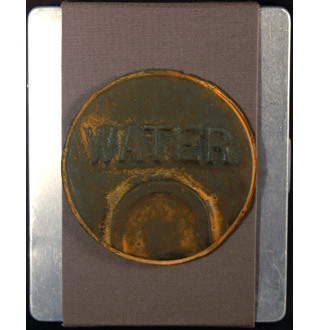 Housed in hinged metal container with bandoleer of cloth-covered board with a polymer casting affixed, metalized and rusted to look like the seal of a municipal water company. Hand-bound. Personal history recorded in nineteen memories involving tears, the human water department: "A routine procedure for the doctor who was surprised at the tears streaming down my face as he probed my right breast with a long needle. He was unaware that my mother died from breast cancer 25 years ago."